Wife, Mother, Daughter, Sister, Aunt, Cousin, Niece, and Friend. Huntress and firearm enthusiast. Event Coordinator. Pilates Lover. Foodie and traveller of note. Outdoors-woman. Texas born and bred, Resident of South Africa. Afrikaner dear huwelik. Safari Outfitter. I blog about all, some, or none of the above. Yay! Baby Dühring is expected March 1st, 2018! We found out through a blood test pretty early on (16 weeks) that he is a boy and we have decided to name him Owen. I am now almost 31 weeks along and this pregnancy journey has been an interesting ride so far. Although I am ‘due’ on March 1st, and have been so excited about a March birthdate baby, I have realized that due dates are set at 40 weeks, and ‘full term’ is 37-40 – so it is quite likely we will have a February baby. This recent realization only has me more excited that in around SIX weeks I could be holding our baby in my arms! -The first trimester will be miserable. Think living zombie mode 24/7 until you wake up on week 13 and it seems as if you have magically become a brand new once-again-functioning person. 1st trimester nausea is unrivaled in sucky-ness. There is no quick-fix feel-better cure, either. Ginger Ale only helped so much, and peppermint tea is terrible. You’ll feel sick because you haven’t eaten, and feel sick when you try to. I am immensely thankful that I only ‘got sick’ one time, and wasn’t best friends with the porcelain throne day in and day out, as many others I know were. After about week 16, get used to building pillow forts. If you don’t have at least a queen size bed to share with your spouse, things are going to get real uncomfortable, real fast. I am so thankful for our king size bed at the moment. 6 weeks into the new job and things are lookin’ good! I did survive the voicemail system (thank goodness for phone technicians) as well as our annual banquet, and am getting a handle on all things ‘Chamber’! While there is still a huge mound (Huge. Major. *in Trump voice) of general work to get through at the chamber, I am focused this week on working through the logistics of implementing a new spring event: Corks and Kegs Queso Fest. Yes. I know. It’s awesome – and I hope it will be a roaring success! Food trucks, Vendors, Music, Texas Hill Country Wine and Craft beer, and a Queso Competition? Stay tuned for updates on this amazing event! Logo, Facebook page and all, coming soon! In the meantime, check out this video for a briefing on some of the things that make Uvalde County great! Hello there, 2nd week of 2017. As far as the resolutions go…. meh. It’s only the second week though, so lets give ourselves a break. I have gotten the meal planning thing down purdy good – even bought all my groceries for each meal this week from my handy dandy app, Paprika. What I have not accomplished once is working out or running. Ha. Surprise? I think not. But, in case you haven’t heard, we did recently have a Texas blizzard. No, not like you’re thinking. No snow or anything – it just got so cold here (18*F) that we Texans didn’t know how to function anymore. But that’s okay – clear skies and sunshine into the high 70*’s later this week. Hallelujah! We have gone to church every Sunday so far, and have tried out a new church closer to home. So far we have really enjoyed it and look forward to next Sunday. Instead of attending my super-awesome girls bible study group tonight I went to a Jr. High basketball game to watch my little cousin, Kaylea, play. It was much more entertaining than I anticipated. The coach of the opposing team was hilarious – I can’t even explain his erratic body language and odd comments. He had everyone, including his own team, in awe of his demeanor- some with stifled giggles and others with shocked faces that just couldn’t look away. Throughout the game I reflected on how thankful I am for my former athletic career, as well as the impactful and respectful coaches and teachers I had the opportunity to be molded by. We were a great team. Aggressive, but also full of sportsmanship. If we ‘accidentally’ or otherwise knocked an opposing player down, and didn’t offer a hand to help them up, you better believe we were on the bench the rest of the game. That mentality was certainly not the case here, and it disappointed me very much. Not too many updates today. Until next time. Night night! I get inquiries similar to this all the time. If you are engaged and starting to plan your wedding, before you tell every person you know that they are on your guest list, a reality check is going to need to come into play. It turned out to be amazing! I did accomplish everything on my checklist- and it all looked so beautiful. As with all weddings, we ended up having some logistic problems (crises), but they were sorted out as well as could be, and sometimes you just have to remind yourself: “que sera, sera”. Six. Seis. Ses. Sei. Sechs. I’m currently on planning day #2- Sunday the third of July is their wedding date. In case you didn’t catch my Instagram feed blow-up: We went to Cowboy Mardi Gras this past weekend, and almost needless to say with those words put together- it was so much fun! Although Mardi Gras is traditionally done by those over in that coastal area of Louisiana, when you give us Texans a party theme- we’ll probably do it bigger (and maybe better). Cowboy Mardi Gras was originally started by the famous 11th Street Bar – which they argue is the ‘Biggest Little Bar in Texas’. Are you a blogger who happens to also be a huntress? Then join the Huntresses United list! 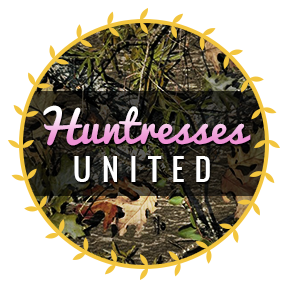 I created the Huntresses United collective so that we as huntresses can meet and support other like-minded outdoors-women and their blogs – there seems to be a lack of huntress/hunter blogging collectives/guilds or a way to find other hunting bloggers. 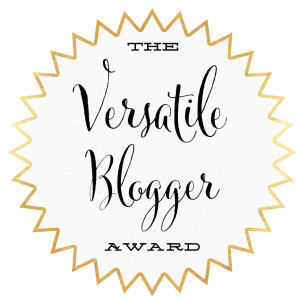 Should you wish for your blog to be added to the Huntresses United list, please either comment on this post or on the Huntresses United page with your blog address, or tweet to @vld_safarigirl with #HuntressesUnited. And by all means, once you join in on the list, please display the logo on your blog so that others will be encouraged to join! I hope to see our little list grow exponentially! Hello, there! Are you a blogger, or new to having a blog? Now, I don’t have the most ‘successful’ site, in the eyes of others – I don’t have sponsors, or over 1,000 followers, but I have posted 46 heart-felt posts and interacted with some pretty awesome people across the globe because of it since September 2014. Throughout the short lifetime of my blog, I can reflect on some learned tips that could be of use to others. Firstly –Choose your blog name very wisely! – You can’t change this– so even though I am the ‘Texan in South Africa’ that is now back in Texas, that will go back every year for an undisclosed amount of time back to South Africa…. I really think that in hindsight, even though it seemed such a perfect name at the time, I could have picked a less concrete name to have gone with. If you know of a way to change your blog name on your blog- please do tell! I have done a bit of research and it seems the only way is to potentially upgrade to the paid platform or create a whole new blog- which is not an option for me- too many dear posts to lose! Write down a blog schedule – Topics should be those that will inspire you and be easy to manage. Drafting a schedule makes goals- so start with just two posts a week on specific days – do that for a month and then increase to three. And you don’t have to sit down on the Tuesday you want to post- you can do them both on the same Sunday evening and schedule them to post on the days you want! Happy 1st Day of 2016! Except for the fact that it is today instead of tomorrow, and it’s a leap year this year, Brad. ;) so 366 pages. Oh, happy day! A whole year has come and gone, and a new one has taken its place. People all over the world for the next couple of weeks will be using that eraser to scratch out the ‘5’ and replace it with a ‘6’ for 2016 – I know I will be! I have to remind myself for weeks on end that it’s a new year- almost until the point that it’s the end of that year with a new one on the way again! Did you notice on the home page? I changed the year on the copyright! It looks like i’m entering my third calendar year of blogging! Whoop whoop! I can’t wait for all that 2016 will bring- good and exciting things indeed- and I wish the same for you, too! –Be less critical of myself and others. –Bring pilates back into my life as a daily routine. – this will require the purchasing of some mat equipment. -Get my concealed handgun license. -Become a more confidant swimmer. -Stop settling for throwing my hair in a bun- appearances matter! -Plan our meals- and buy accordingly. What are your New Years’ resolutions or goals? Do we have any that are the same? I hope you had a most blessed and wonderfully refreshing January 1st, 2016! As previously mentioned (again), I have been absent as of late due to the crazy busyness of life. A couple of things that I (we) have done in the last couple of weeks, includes remodeling a small house, surviving family encounters throughout the holiday season, and going hunting (although unsuccessfully) a couple of times. It even snowed while we were in the blind- in Del Rio of all places! The air was so pretty filled with all of the dainty dancing white specks, and the Whitetail Deer looked to be having some fun with it, too. So, as it turns out, there was zero airport entertainment in the way of quirky passengers or otherwise during our travels this time. So sad. I apologize for my lack of posts- and yes- I technically failed at NaBloPoMo since my last November post was on the 23rd, and only managed to crank out one post on the ‘Thankfulness Challenge’. Whomp whomp. :( NaBloPoMo was still a really great try and a wonderful experience! My upcoming stats post is going to be pretty mind-blowing! We literally hit the ground running once we landed back in Texas and have been excessively busy ever since- and there is STILL so much to do! We did make the wise decision to get away from all the madness this weekend and visit some friends at the coast- Baffin Bay. I’m so glad we did! Departure day draws nearer by the minute! We (I) have successfully packed one carry-on case, three hard case suitcases, two large duffel bags, and a bow case with right at 350 pounds of jackets, sweaters, pants, shorts, (many) dresses, shoes, a gilly suit, game caller, binoculars, holsters, hunting gear, fishing gear, books, and 500 brochures. Tomorrow I just need to pack all of our tech and valuables into our last carry-on case and my purse, and we will be ready to go! I must say, I am so very thankful for the South African work force. Day laborers seek work by the thousands, so house-helpers such as maids and gardeners are very common for just about every household to have. We don’t normally have a maid at our house, mostly because I’m too picky and because we live so far away it ends up being more work to get someone here than for me to do it myself. But today, while going crazy ripping our house and bedroom apart and stuffing them into suitcases, I really needed the extra help to clean the house- and oh my goodness what a difference it made! I am very thankful that we were able to have Dorah come today and help us with the house. I got everything packed and ready- and a spotless house to relax in afterwards! It really is a blessing and I am so grateful for it and her. My super awesome bible app on my phone, and the fact that I have the ability to have an iPhone. A friend of mine from a women’s bible study group I am part of back home in Texas, sent this to me at the beginning of November. Alright. You caught me. I missed posting yesterday. 😩 and I was doing so good! Two whole weeks! Only to have my lazy Sunday interrupt my perfect cycle. Ah, it’s still a personal record, anyway. NaBloPoMo is really just there for inspiration, and inspire me it has! Because it’s Friday, we had company over, and in preparation for that I spent most of the day getting the house and everything else ready for making lots of pizza, so I didn’t really have just a whole bunch of time on my hands to sit down and think up a subject for a post much less write one. So, you all get the recipe for what I made and served for dessert. Lucky you, I made my Great Aunt June’s Famous Peach Cobbler. Regardless of what you do or don’t know about it, trust me when I say it is pure awesomeness and you need to make it. It’s super easy, and you probably have everything you need right in your pantry and fridge. It’s almost 4:00 in the afternoon over here in sunny South Africa, and this girl doesn’t have just so much to say today. So, in honor of NaBloPoMo, I’ll share with you some Afrikaans words that I find to be quite funny. It’s a very descriptive language, so sometimes direct translations can be pretty entertaining- with the animal names taking the cake. Enjoy! Have you ever heard of the Afrikaans Language? No?? Well, it is a pretty big deal over here. South Africa has 11 national languages: Afrikaans, English, Ndebele, Northern Sotho, Sotho, Swazi, Tsonga, Tswana, Venda, Xhosa and Zulu. However, English, Afrikaans, and Zulu are the most widely used across the rainbow nation. If you are visiting South Africa any time soon, I suggest learning some Afrikaans phrases, as well as knowing the commonly used terms. Ahhh the laziness of yesterday was made up for today. We are at Rosemary Hill today, but aren’t here for their fabulous morning or afternoon tea- we came to cycle. Rosemary Hill is located just east of Pretoria and they are well-known for having a truly awesome mountain biking trail. (6km/10km) …but I’ve gotta admit – I chickened out and stopped at the 5km mark. My husband kept going and did the full 10km’s. He said it was awesome. It has a huge hill, and several tricky parts. And if he is saying they’re tricky, you better be a bit experienced to handle them. He also said you ride through abandoned buildings, and there are portions where you can choose the ‘chicken’ or ‘bull’ path. The first 5km’s that I can tell you about from experience, has about six spots with little hill-bridges and a whole forest portion with some tight turns. The first little bridge ramp- by far the smallest, but the only one I could get a picture of easily. This is a pity post. It’s existence is merely due to my vow to complete NaBloPoMo this month. Even though it’s only 1:25pm at this exact moment, and there is still more of the day to happen, it has not been the most amazing day. Not that every day has to be amazing to have meaning. Today means that I was able to relax and have time all to myself at home. Sometimes that is good for mental well-being. and why do I have to be afraid to say that? I am new to the Twitter-Sphere and I have been trying to learn how to utilize it for our businesses, as well as for personal purposes. There is a Twitter site (do you call it a site?) @AverageHunter and they do a weekly hashtag that is very popular called #TrophyTuesday. I have participated in that hashtag a couple of times, once with a picture of me and my ducks, and once with a picture of me and my Axis Deer. A few days after the last #TrophyTuesday I did, which happened to be of my ducks, I got a notification. (It’s easy for me to check each one because traffic on my twitter account is quite rare.) It was a notification of someone that had re-tweeted my Axis picture. I clicked on the account of the re-tweeter and it was @Blueskyemining. Doesn’t sound like a hate page, right? As I scrolled through their twitter page, I saw countless re-tweets of hunting, but not in a good sense. One common re-tweet I came across was originally from a man who posted edited pictures of hunting where he included the hunters/huntresses name, work address, and work phone number, encouraging people to get them fired. I mean… the only appropriate response to that is “What the french toast??”. But when you are a young internationally married couple- Ohmygoodness. Sometimes, they are just too much for me to handle – mostly because they are always the same and I have answered them to many different people many times. I mean, show some originality! Just kidding… but really. Hello there again! We booked our plane ticket back to Texas last night, and it got me to thinking about how much of a seasoned international traveler I am. Traveling a lot is one of the things that goes hand-in-hand with having an international marriage. Because of this, I know airport call signs by heart, which airlines have the best food and entertainment, time zone differences off the back of my hand, and I have my passport and frequent flier numbers memorized – for myself and my husband. Last but not least, another skill that comes with traveling often- I am an expert packer. I know exactly how to pack our check-in bags and what to carry on the plane, both in my carry-on luggage in the overhead bin, and what I want in my purse within easy arm reach. No, that is not the phonetic spelling of me speaking with my mouth full, it’s an acronym of sorts that stands for “National Blog Posting Month”. …and a very Happy 16th Birthday, to my oldest nephew, Tate (AKA: TaterTot)! I am trying really hard to incorporate shorter posts into my blog, so that I can have more content more regularly. One of the downfalls of being a writing perfectionist, is taking forever to draft, edit, and finalize a post.. and it also usually results in a lot of words to read! oops! Since we are almost never in South Africa for Christmas, we always try to find a way to do something special with my husbands’ family before we go back to the US each November.